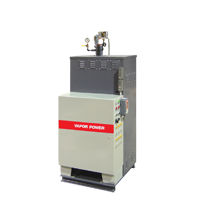 Vapor Power is the leading supplier of high pressure boilers for the valve test market for over 50 years. 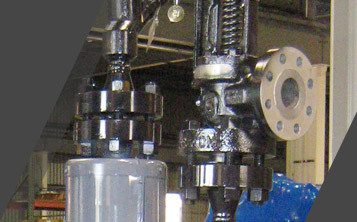 With a customer list that includes nearly every major valve manufacturer and numerous valve test facilities, we have the experience to help you with the design of your valve test facility. Whether a natural gas fired boiler, an oil fired boiler, or an electric boiler, Vapor Power can provide a high pressure unit that meets every customer’s specific needs. Gas and oil fired Modulatic steam generators are available in sizes from 18 BHP to 220 BHP and design pressures to 3200 psig or even supercritical pressure. Our electric boilers are available in design pressures up to 2500 psig. In addition, Vapor Power manufactures steam superheaters, both electric and fuel fired, with temperatures available up to the limits of available safety valve maximum design temperature. 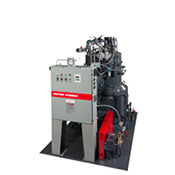 The fast startup capability of a Vapor Power high pressure boiler means that your accumulator is filling as quick as possible at the beginning of testing and the quick response time of our boilers keeps the accumulator at pressure during testing.